These past weeks I have been working on my doorstop hens. This is one of my favorite patterns that I purchased when I took a trip to the Ozarks as a young woman some forty years ago now. My best friend from nursing school drove with me to Kansas where her brother lived on a farm, and we saw fireflies for the first time. From there I drove myself to Branson, Missouri using a map. This was a first and last experience to be sure, as with my map reading skills and directionality it was lucky that I made it to my destination and the trip brought more than I expected. My mission of this side trip was to meet Mrs. Brown, my paternal grandmother and great grandmother’s friend. 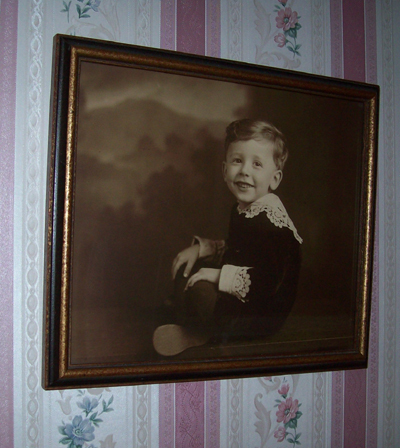 My grandmother had died when my dad was just a boy and not many years after my dad’s father passed away as well. He then went with his grandmother, my great grandmother to France to live for a short while. 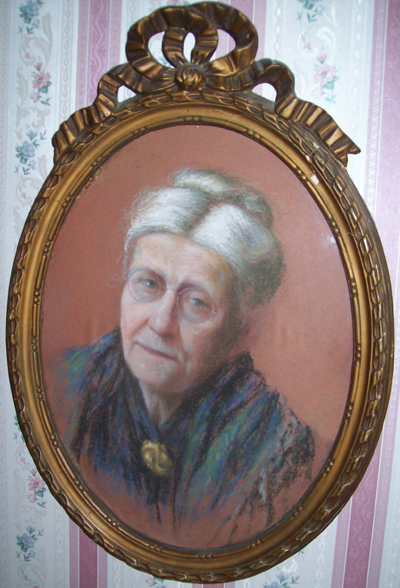 When she returned she placed my father in The Masonic Home for Children in Fremont, Nebraska. Mrs. Brown extended her friendship to my father through these years and would have adopted him, but he was to carry on his father’s name. Mrs. Brown was in her 90’s when I visited her in the early 70’s. She was so pleased that I had made this special trip to visit her and surprised me by giving me my great grandmother’s thimble. When I got home I offered it to my father as he had so few things that had belonged to his grandmother, and he instead told me to keep it and gave me her little antique wooden thimble case that he had, completing this treasured set. This was truly a special gift! My grandmother and great grandmother had been French milliners. Knowing that they made their living with needle, thread and thimble, along with my mother’s love of sewing and her teaching me to sew at an early age made me feel proud to have such a heritage. I was convinced that I had the proper “genes” for needle arts (though I didn’t seem to acquire any special genes when it came to learning to speak French). I now am privileged to have my mother’s special silver thimble as well, complete with a hole worn in it from quilting her beautiful quilts. 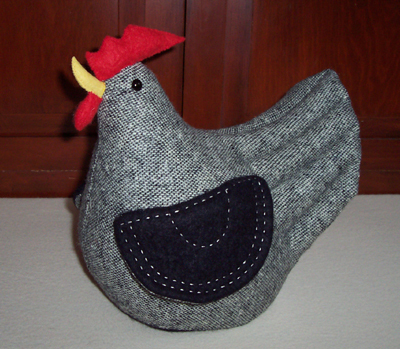 These Ozark doorstop hens are special as well for their pattern came from that memorable trip when I became physically connected to my precious heritage of women who lived by their needles.